1) When painting armor, such as that on the Kabalite Warriors, should I base the whole miniature in the trademark dark purple of the LH? Or should I base it black, and paint the purple onto just the plated sections that pop out? It appears on the LH color scheme picture that the feet and "undergarments" are all black. I can't really tell what other people have used on the internet as the dark colors don't stand out to me. 2) Should I use the same color scheme on all the vehicles as well? I can see it getting pretty bland if everything looks the exact same, but I also want the army to look cohesive as well. I was thinking about tweaking the formula a bit for the vehicles to make the riders and troops stand out a little more. Judging by the internet, it looks like most people just stick with the exact scheme throughout so maybe I am overthinking this one a little bit. 3) According to lore, the Kabals, Cults and Covens are all separate entities that occasionally work together for payment or mutual benefit. With that in mind, should I use a different color scheme on my cult and coven figures to keep it in line with fluff? I really get into the thematic flavor of the game, so I am seriously considering doing so. That being said, I don't see many people on the internet doing this and possibly for good reason. A uniform army does look very sharp on the table. So what do you think? Is it worth it? If yes, what cults or covens would likely work with the LH? What cults or coven color schemes would compliment that of the LH? 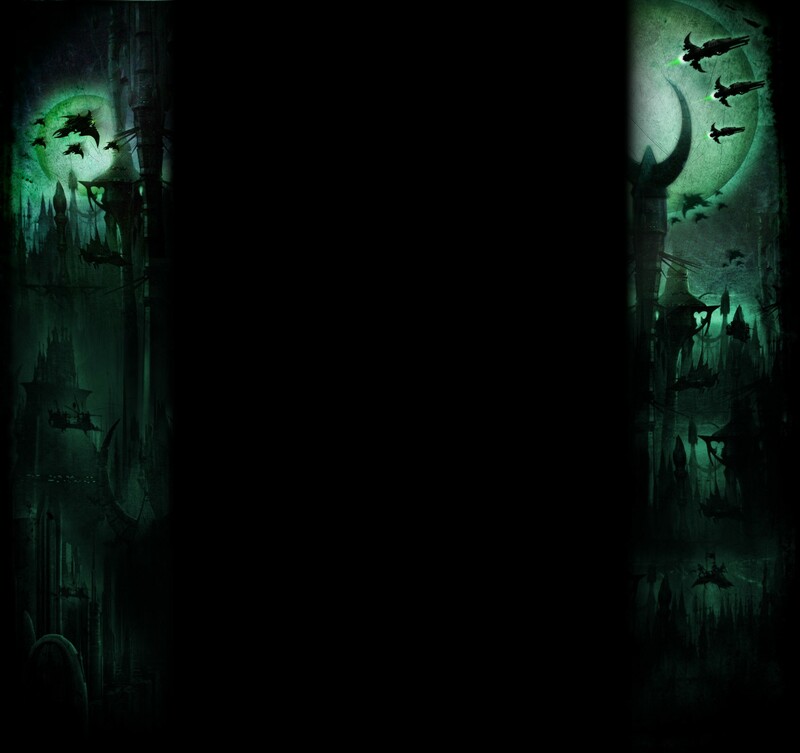 4) I know Dark Eldar transfer sheets are out there, but I don't see the listed for any particular kit. Does GW no longer offer these? That would be a real shame as there is no way in hell I am going to try freehanding the symbols. As a side note, I really like the symbol of the Kabal of the Last Hatred. Well I know I threw a lot of questions out there, but if any kind (ahem wicked) souls could answer any or all of them, I would be very grateful. 1) If you wanted the suits beneath the armour plates to be black, I'd probably use the base purple colour on the armour plates and work it up from there. I always use washes which darkens it off another shade too. 2) If you use the same colours on your vehicles, it will still have to be very different in layout due to the model being completely different. It doesn't (imo) look bland, it looks cohesive. 3) If your aiming for Kabal of the Last Hatred and want to get into the fluff, I'd suggest picking out a Cult and a Coven from the books and painting those in that scheme. Then it's all done to proper schemes from the books. However, you can paint them however you like and create your own fluff to justify it if you wish. 4) Transfers come in a lot of the vehicle and starter boxes etc. I've never looked but sure there will be plenty available on eBay. As a side note - I can understand why you might want a fluff approved kabal. But if I were in your position, I'd probably choose my own colour scheme and create my own kabal, working with colours I can see more clearly. But I always do this with armies anyway, as I like my stuff to be a bit unique. Just seems like you may be making life harder for yourself than it needs to be, but obviously only you know how much of a hindrance your colour blindness is. I’d say prime incubus darkness, give it a purple wash, and then edge highlight with a vivid purple. On the topic of painting Kabal/Covens/Cults in the same colours, you could try colour swaps. For example, if your Kabal was purple with a blue spot colour (like the Kabal of the Last Hatred), you could try a Cult/Coven with blue and purple as a spot colour. That way they look different, but also tie into each other. Alternatively, it's perfectly fluffy to say that your Kabal has paid the Coven/Cult well as a form of sponsorship, and so they wear his/her Kabal's colours. Thanks for the help. I would like to try basing them in a black purple mix to give the dark foundation. Then I will layer back up with the purple by itself on the raised armor sections. I usually wash all my models for the shading effect but I question how much shading it would provide on a dark color scheme. I think layering will probably accomplish the shade effect by itself. I of course plan on experiementing before settling on a formula so thanks for the suggestions. What color is Incubi Darkness? It looks like a really dark greenish gray to me but GW lists it as a purple paint on their website. I don't own Incubi Darkness but I'm fairly sure it is a very dark green, certainly not a purple. You could experiment with layering and THEN a shade of Druchii Violet perhaps, might help to draw the purple layers together. After that you could do one final highlight to make the edges pop. I think that is going to be my first approach. It's probably the most straight forward technique to try out. What base do you think would compliment the Kabal of the Last Hatred color scheme? I was thinking of possibly going for a Martian soil type to give a red contrast that might make the models pop. It's a dark green but has a lot of blue in it, so it would create natural shading, while still allowing the layered purple to be a bit brighter than it would be on a completely black background. I find it a better base color for blues and greens than just straight black.